15,768 kilometers of our own driving; 8 countries; 250 kilometers for Karen and Eliav by 3 ambulances; 650 kilometers for Avi and Avital by the generosity of 2 sets of strangers. It is hard to believe this adventure is over – but we are ending this as a family ready for the next one whatever it may be. We have all had an amazing experience through ups and downs. With a serendipitous siting of water mongoose scavenging in the drainage system last week at Warmbaths we saw our 86th unique species from our checklist of 95 (all regional mammals excluding small rodents). A while ago we set the seemingly unrealistic 90% as a goal for us – at the time, while we had seen some rarities like pangolin, we knew we needed many more highly specialized or rarely seen targets to hit the target. As we made our way out of Zimbabwe to Tuli in Botswana we needed just 5 more with nearly all options being nocturnal. Amazingly in Botswana we saw four of the five, tracking down brown hyena and aardwolf along with easier nocturnal sighting of thick-tailed bushbaby and springhare, and it seemed almost certain we would end at a respectable 89.47% penetration – spectacular but spectacularly just short of our ambitious goal. As with so much on this trip, neither us nor the fates were content with coming up short of our goals – so that last siting was obviously destined. We’ve spent the last few days in Johannesburg walking around, visiting flea markets and attending a soccer match; and I surprisingly liked the city. 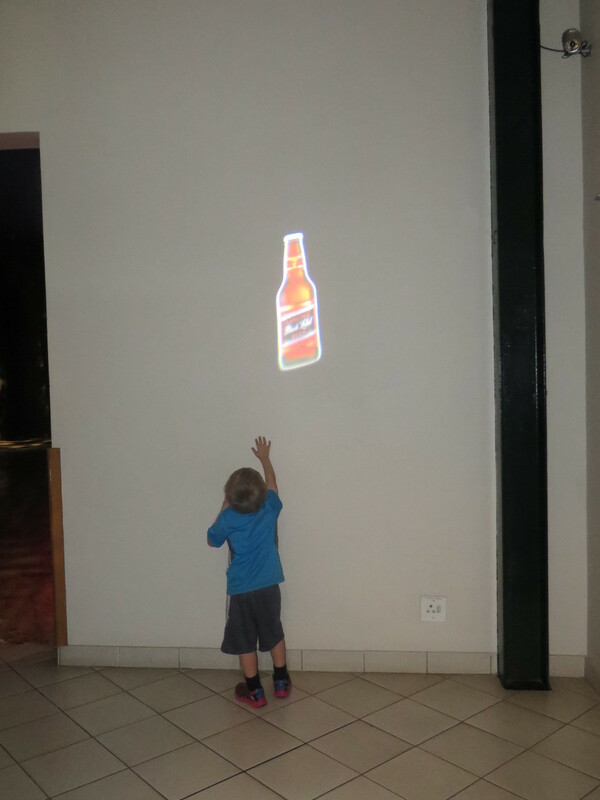 With the kids’ limited attention spans for museums we only took in the most critical – the world class Apartheid Museum, the Hector Pieterson museum, Neslon Mandela’s house and SAB’s World of Beer. The Apartheid Museum is in a class with the Holocaust Museum in DC – it does a phenomenal job of explaining the rise and fall of apartheid in South Africa. We also took a tour of Soweto with the exceptional Mandy Mankazana – besides the usual tourist stops she does a great job of showing you the modern side of life in the various suburbs which run the gamut from squalor to wealth. She is also engaging and talkative throughout getting to know us and our lives and relating it to her life and her many friends throughout the townships. Those experiences left me with this thought – though I generally am not a believer in the Great Man Theory of History and am sure there are other causes involved it is hard not to attribute a good part of the different trajectories between Zimbabwe and South Africa to the differences between Madiba and Mugabe and even de Klerk and Smith. 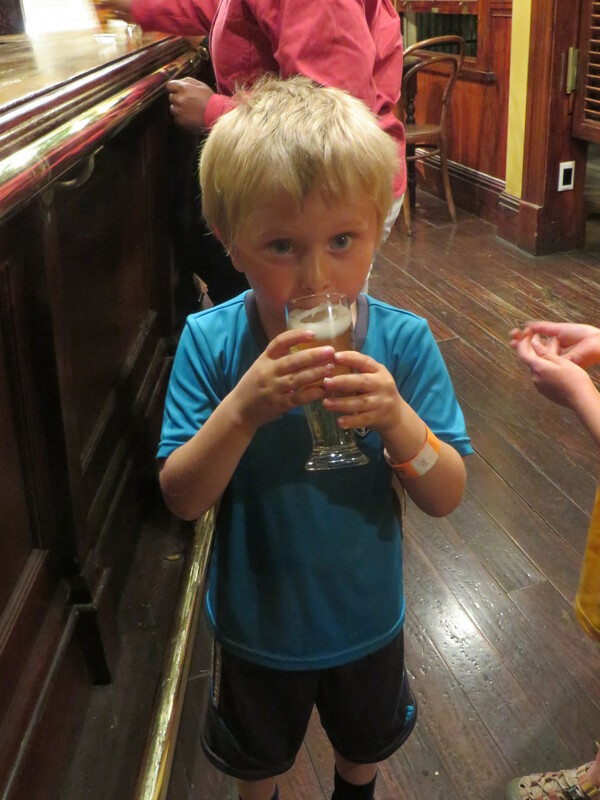 The other great museum in Johannesburg is SAB’s World of Beer. The creative trip through the history of beer from ancient Egypt to modern South Africa and their global empire is both informative and engaging and comes with multiple free tastes of their suds – the interactive experience definitely breaks from the generic taste of their brand of beer. To accompany the tasting of generic beer we had lunches at outdoor markets – the [email protected] which is like a smaller version of Eastern Market at the edge of the CBD and the Sunday Market at Rosebank in a relatively posh suburb. 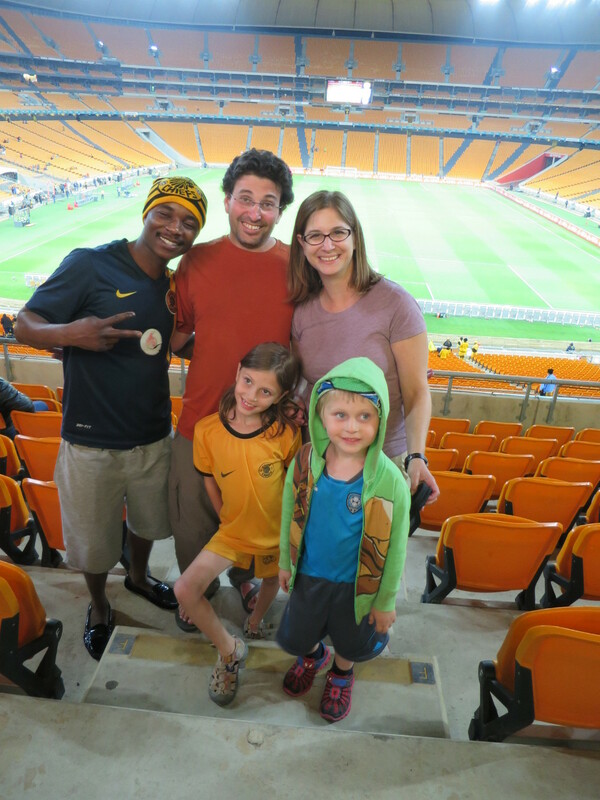 We rounded out our Johannesburg experience with a Kaizer Chiefs match at Soccer City. The stadium is a great design where all ~95,000 seats have fantastic views – but since it was open seating we were able to be down close to the field in the heart of the Chiefs fans. The energy was infectious, and Avital’s Chiefs jersey an attraction in itself to the fans resulting in many a new friend as we cheered their 4-0 stomping of the Free State Stars. It was a great, safe atmosphere with remarkably few other white people in the crowd. Our visa issues took care of themselves in classic bureaucratic fashion. The initial immigration officer at passport control wasn’t authorized to handle the situation – so we were walked to the other passport control area, and then back, then to the other and then back to the second place. There, we waited, they consulted the book multiple times – literally this was all done by the book lest a bureaucrat have an independent thought – and filled out the forms in triplicate of course. Each form required two signatures as well as ours, Karen corrected them on today’s date, I corrected them on the date of our visa expiration. (As an aside, between this and the new rule requiring birth certificates for any travel with kids here are great examples of misguided policy implementation having huge impact on one of their biggest industries – as has been noted by many we met in that industry.) And then, with as much excitement as they started they were finished – leaving us with a one year ban as undesirable people (pending appeal of course). Oh well, we are due for an Asia visit anyway and the kids insist we are going to China next year. I guess that is it for our Southern Africa Overland adventure. Earlier I noted that everyone had chosen must-see species before they could leave (Karen’s wild dogs, Avital’s pangolin and Eliav’s rhino and cheetah) – well my must see was an adventurous family that relished their unique opportunities and grew through their experience; I can say with certainty that I have seen that so I suppose I can board our flight. So for all the friends, relatives and total strangers still reading, I hope you enjoyed it as much as we have. The plane doors are closing now and our next stop is Home Home.